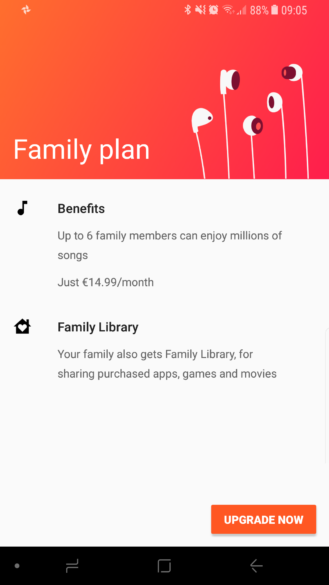 Over the weekend, many of you tipped us telling us you were surprised when you launched Google Play Music and noticed a banner saying you're now eligible for the family plan and that also gives you access to the Google Play family library. 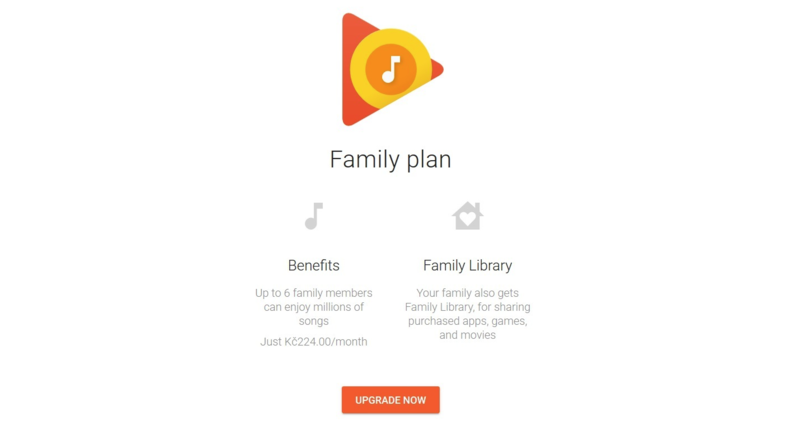 If you live in any of these 9 countries, you can now sign up for a family plan on Google Play Music. 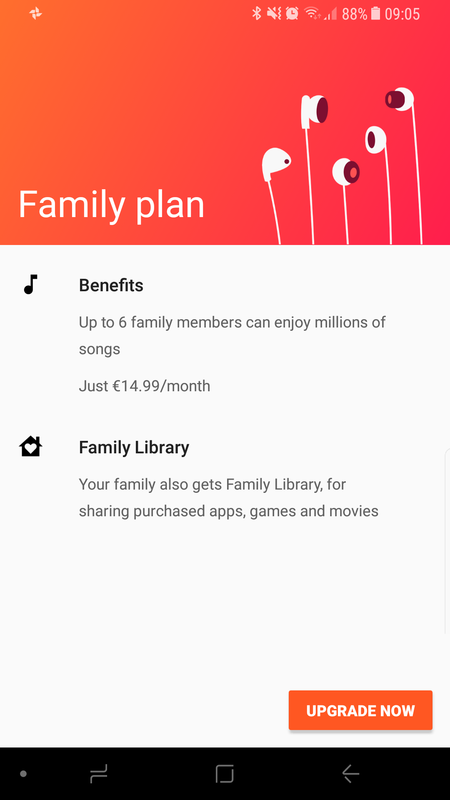 That usually costs 1.5x the individual unlimited plan but lets you add up to 5 more users (who would keep their individual accounts and preferences). 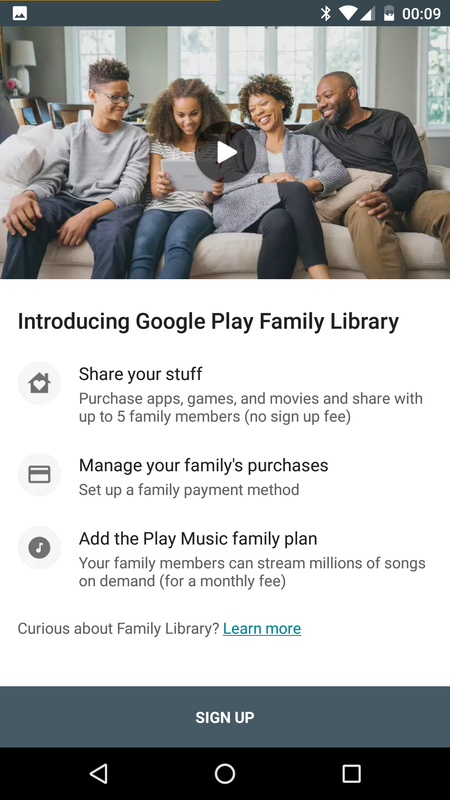 It also opens up Family Library to you, meaning you can grant these 5 users access to all your eligible purchases on Google Play (books, movies, apps, games, TV shows — if these services are available in your country). However, Newsstand, in-app purchases, and individual song and album purchases on Play Music aren't shareable.